Happy Birthday Tupac Amaru Shakur! In honor of Tupac’s birthday, I want to share with you a person that I’ve gotten to learn about while living here in Peru. While visiting the art galleries of Cusco, I met and Tupac Amaru via amazing portrayal of his uprising against the Spaniards in the Museo Historico Regional in Cusco. 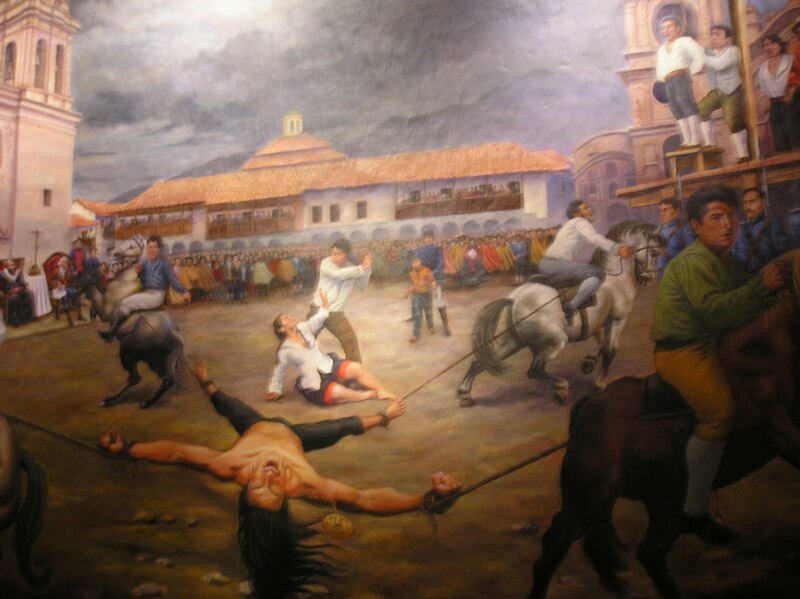 The image is a powerful painting depicting his murder which took place in Cuzco’s Plaza de Armas, a place where I frequented while visiting Cusco (along with millions of other tourist). I’ve also walked the streets that have been named after him here in Lima, Peru. Tupac Amaru as we now was not victorious in his uprising; however, he has become a folklore hero to the people of Peru. José Gabriel (Tupac Amaru II) received an education at the Jesuit church of San Francisco de Borja and went on to be granted titles by the Spanish vice royalty. He married and Afro-Indigenous woman in 1760 before inheriting authority over Tungasuca and Pampamarca from his older brother. He was of course, answerable to the Spanish governor. Identifying significantly with his indigenous heritage, José Gabriel was not blind to the suffering of his people. He repeated lobbied for better treatment of the indigenous from his position of relative power. What wealth he had it is said he used to alleviate the suffering of natives in economic slavery. 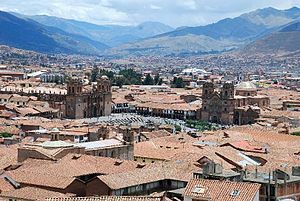 Click here to read more about: The revolt of Túpac Amaru II | …en Perú – Travel Culture History News.